The operator for this tour does not allow children under the age of 15 years old. 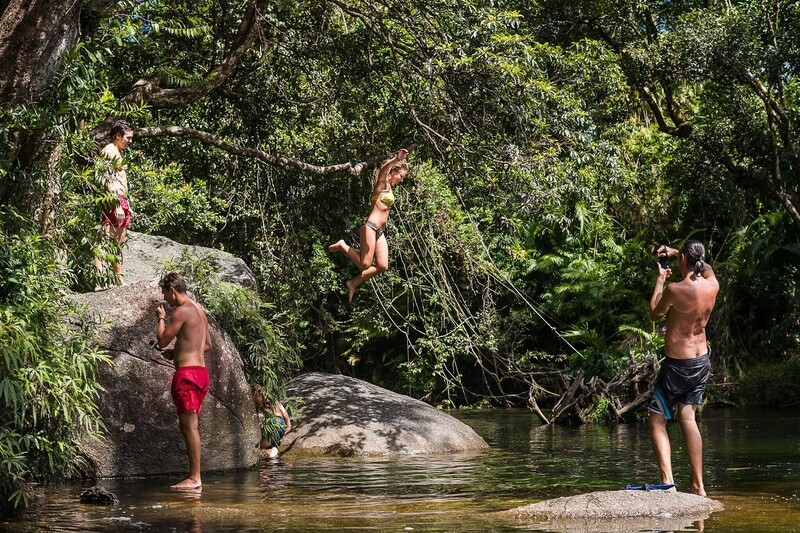 Join us on this 1 Day Atherton Tablelands and Waterfalls Tour for a day of action-packed exploration of rainforest, volcanic crater lakes and swimming at the striking waterfalls of the exotic tropical tablelands. Keep your eyes open for some Australian native wildlife, which can be spotted throughout the duration of your day. 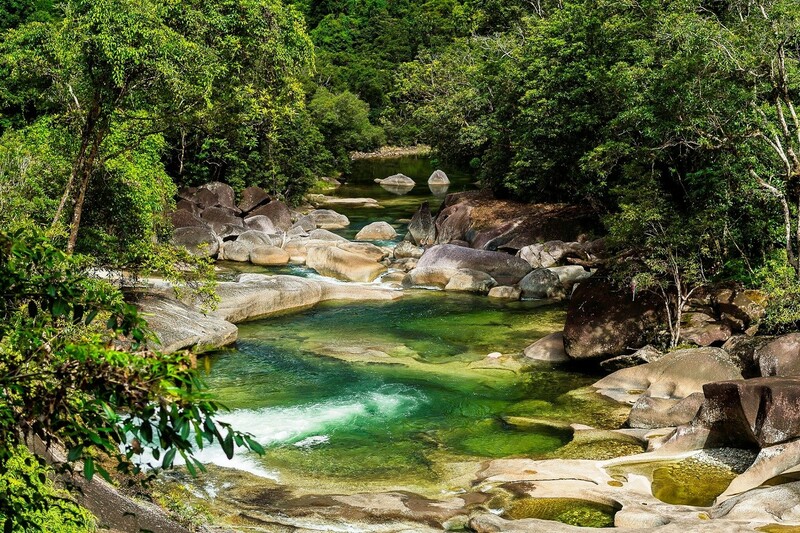 Your fully guided tour begins with a journey to the popular local swimming spot at Babinda Boulders for a refreshing swim and morning tea stop. 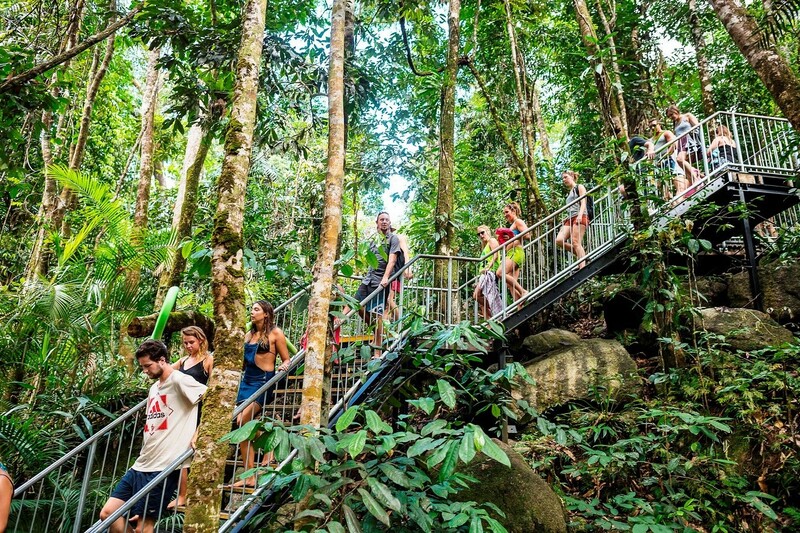 Admire the tropical rainforest scenery and enjoy a stroll along the boardwalks. 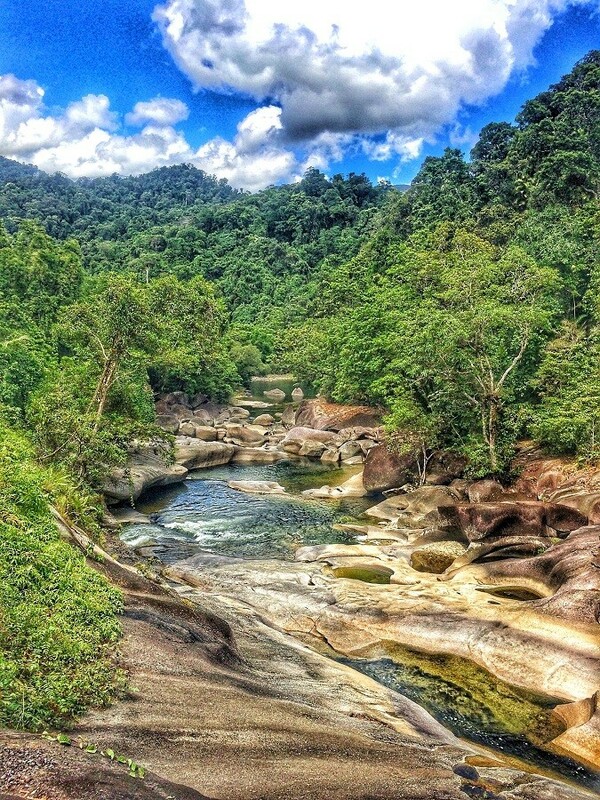 We’ll stop at Josephine Falls to enjoy the unique natural rock slide before continuing our drive through the Palmerston Ranges to the Tablelands. Enjoy a quick stop at Crawford’s Lookout to soak in the breathtaking scenery before arriving at the iconic Millaa Millaa Falls. 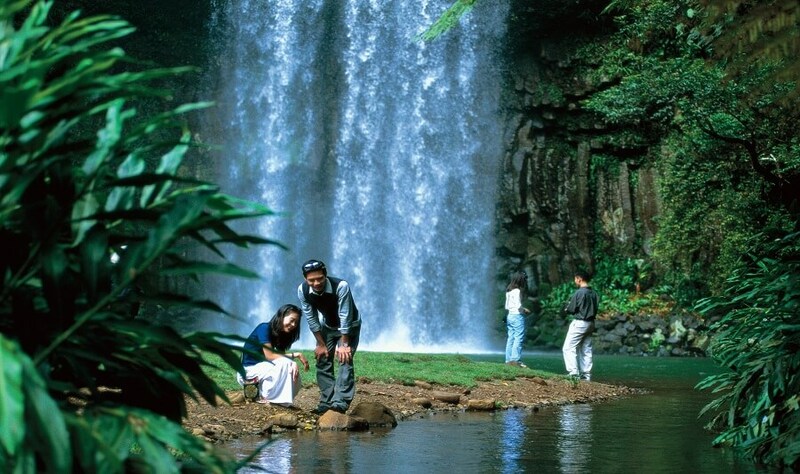 The impressive waterfall is well known for its appearances in the Herbal Essence Shampoo commercial and Peter Adam’s ‘Mysterious Girl” video. Here you can enjoy a nice refreshing swim and get some of those iconic hair flick photos! 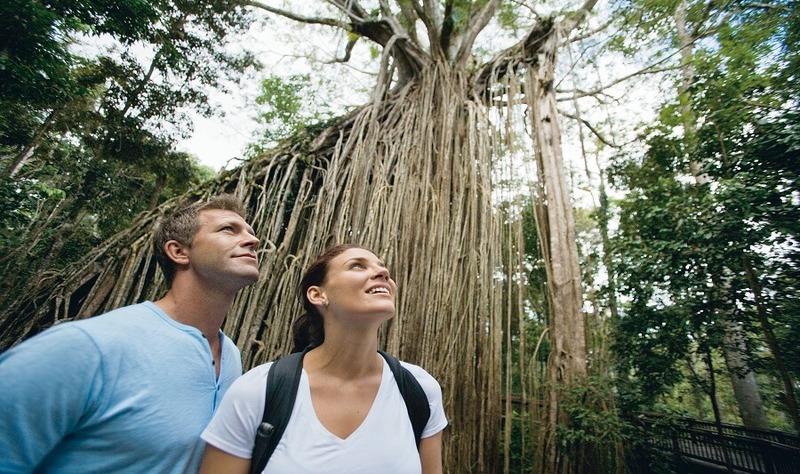 Continuing our Atherton Tablelands and Waterfalls Tour, we stop to marvel at one of the biggest trees known in Queensland - The Curtain Fig Tree. This tree is unique because of the extensive aerial roots that create a ‘curtain’! We stop for lunch (at own expense) at Malanda, where you will get an opportunity to spot some native Australian animals including the Tree Kangaroos and small little aquatic platypus - top tip is to stay quiet as these animals are very shy and can be easily frightened! 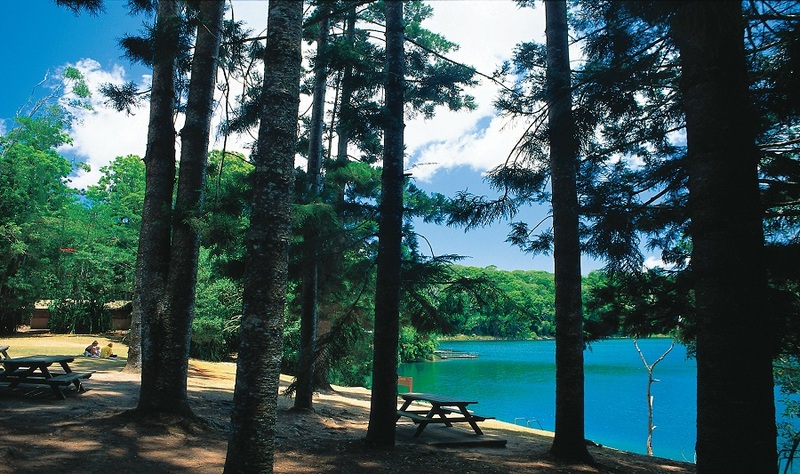 Once you are refreshed after lunch, the rest of the afternoon is spent swimming at Lake Eacham. 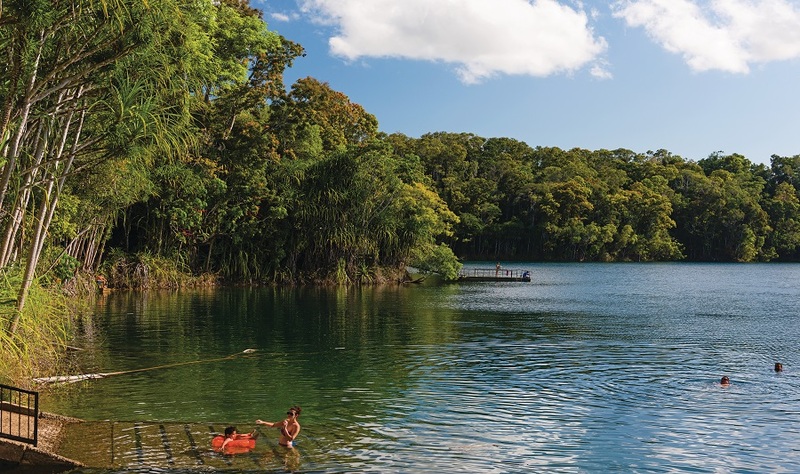 This is an extinct volcano that has been filled up with water over the years, making it to be one of the best swimming places in Queensland. 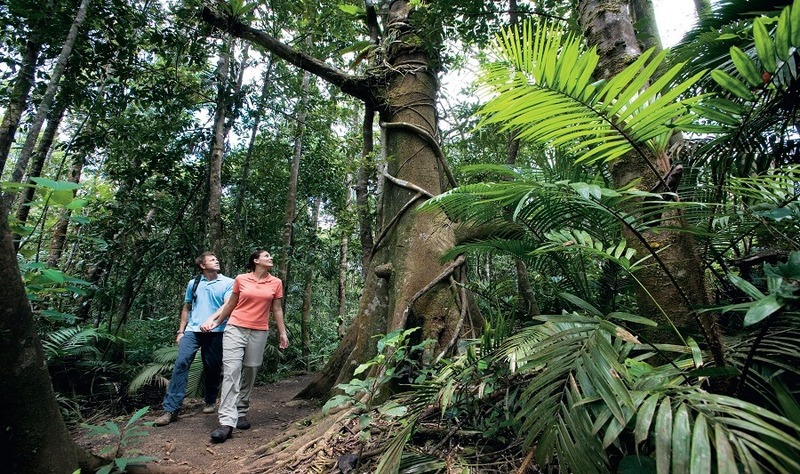 Soak in the lush rainforest surrounding of Lake Eacham before we make our way back to Cairns.